If you've read my blog for awhile now, you probably know how much I LOVE lists! When I saw how many exciting new books were being released in May 2016 (OMG, so many! ), I thought I would do a feature where I spotlighted my favorites each week. 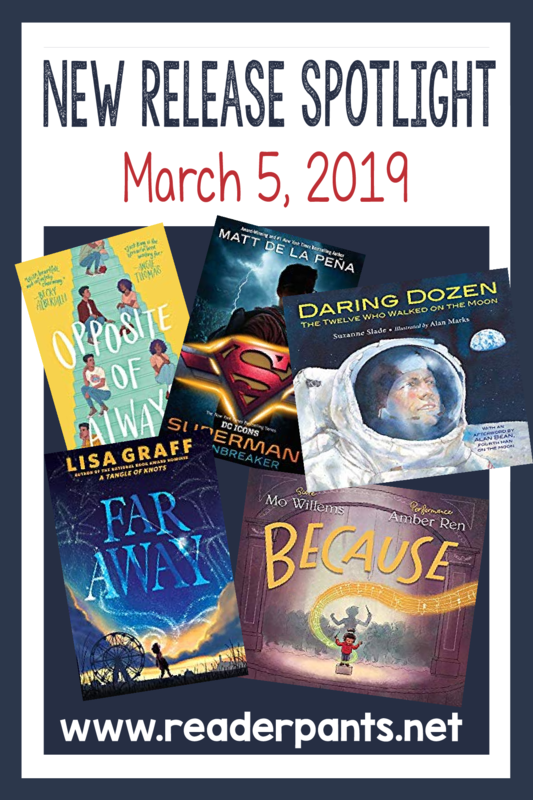 This has been so popular with my teacher and librarian readers that I've kept it as a regular weekly feature every Tuesday. To save space and keep this site loading quickly, I will delete all New Releases posts after 10 weeks. Spring Break! It's been a beautiful week in Shanghai, complete with pink and white flowering trees and low pollution levels (for Shanghai anyway). You can check out my photos of spring in Shanghai today on my Instagram. This week brings us a nice, juicy list with plenty of variety! 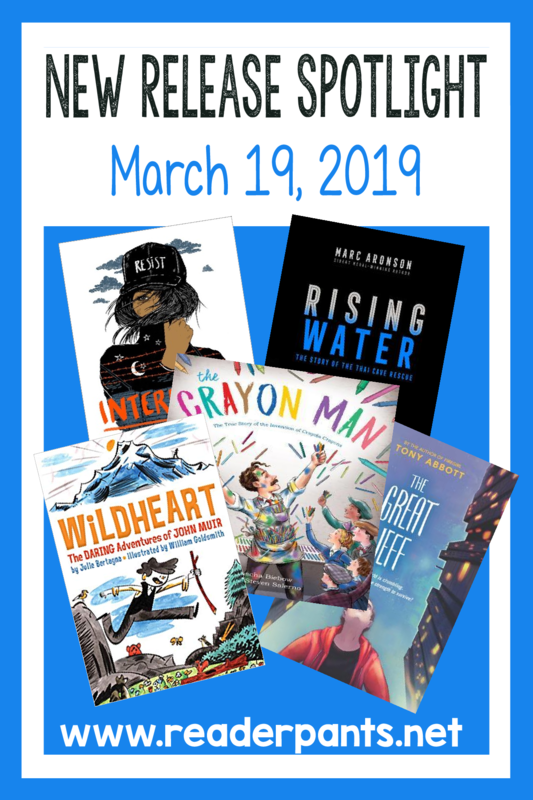 There's a little something for everyone, but with topics ranging from inventions to artists to refugees to playing outside, I think the picture books look most interesting this week. 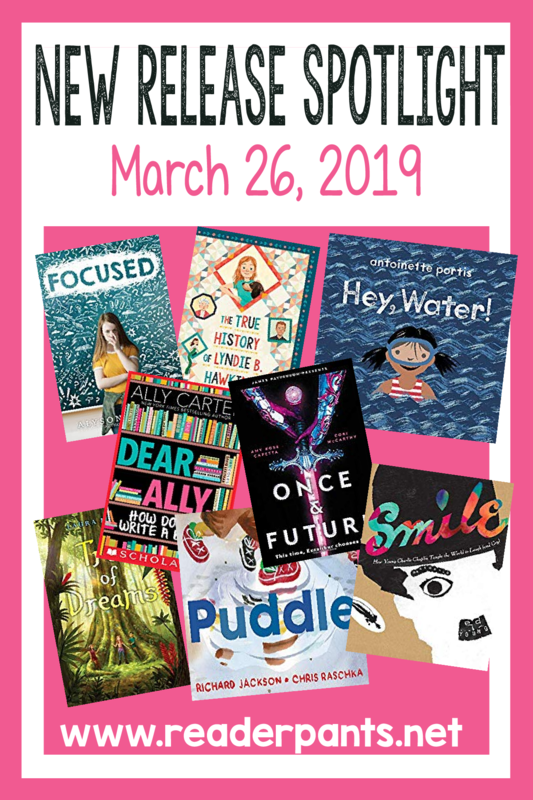 This second week of March is awesome for new releases, particularly YA titles! It feels a bit Halloween-ish with all the witch-related books this week, including The Near Witch, Other Words for Smoke, and The Waking Forest. 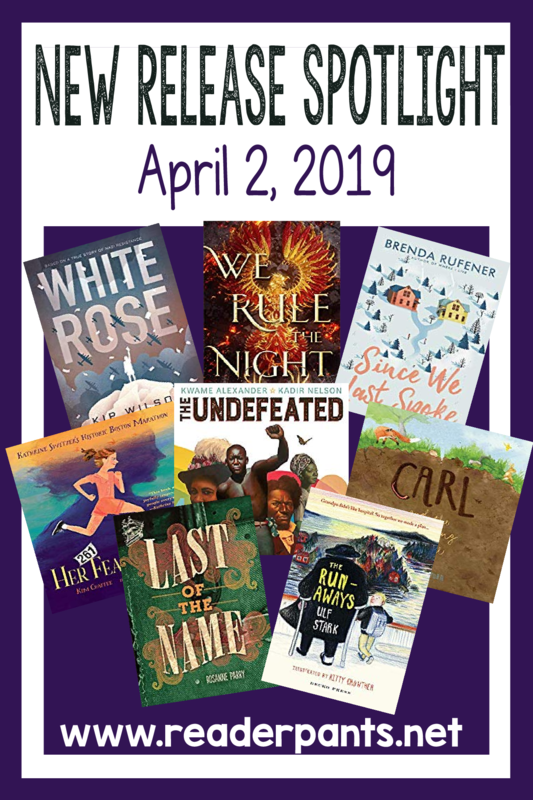 All but one of the YA titles featured received at least one starred professional review, and one even got an unprecedented SEVEN starred reviews! I've seen six starred reviews a couple of times, but I don't think I've ever seen seven before. 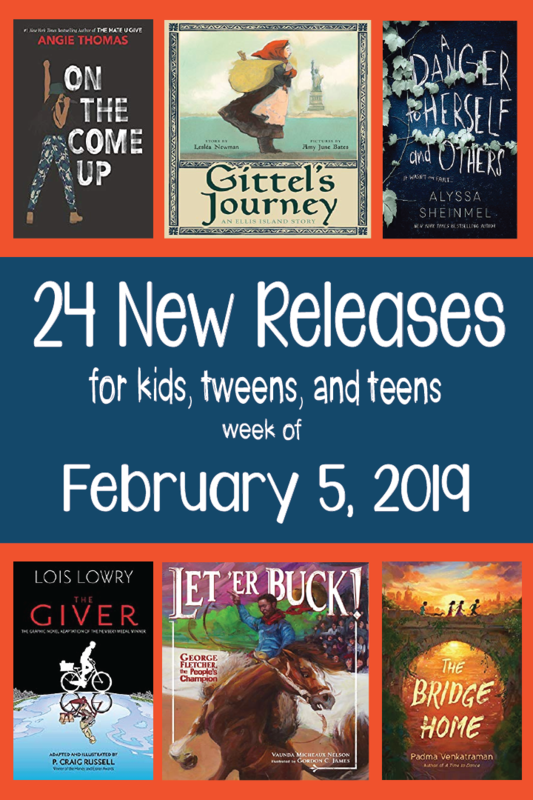 I've found 14 new releases this week, pretty evenly distributed among the grade levels. Nothing sticks out to me as a must-have this week except maybe the Shaun David Hutchinson title for YA. A Place for Pops looks like an interesting companion to books like Wilfred Gordon McDonald Partridge, and I love that "Granddad" and "Pops" are an elderly gay couple. 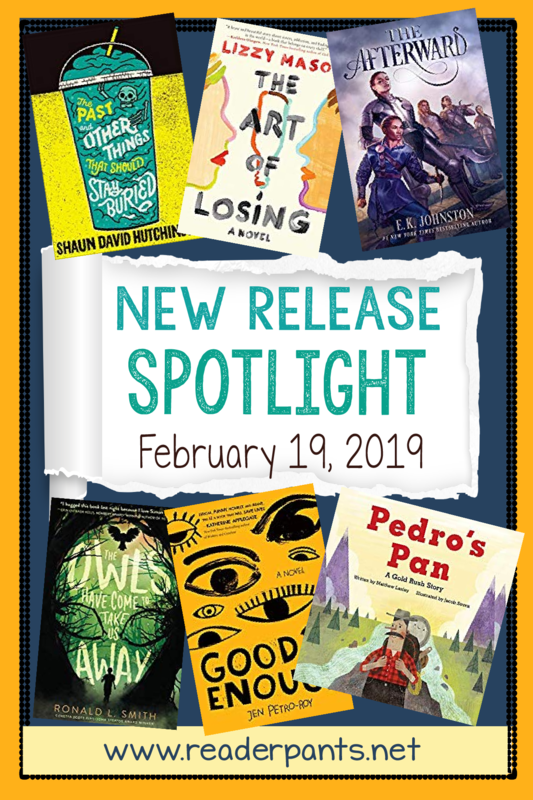 New book releases for February 19, 2019. 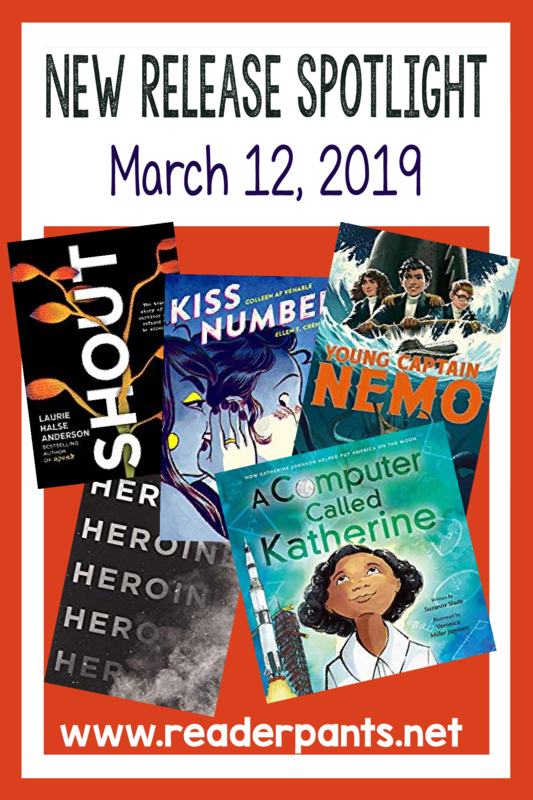 Includes titles for teens, tweens, and picture books. Not to sound like a sourface, but this week's list is just average compared to last week's. 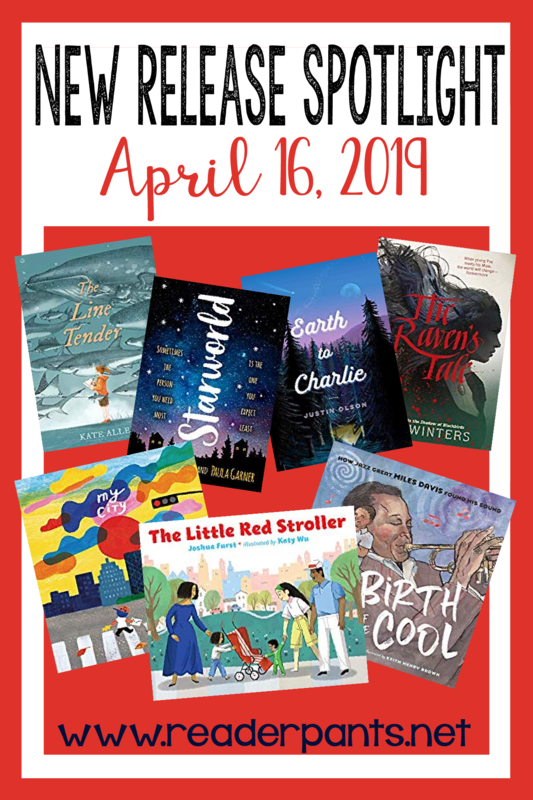 We do, however, have one picture book this week that received four starred reviews. Middle grades are least-represented this week. Lots of YA and picture books, but only a couple of new books in-between. The one that sounds most interesting to me? To Night Owl From Dogfish because it reminds me of The Parent Trap! 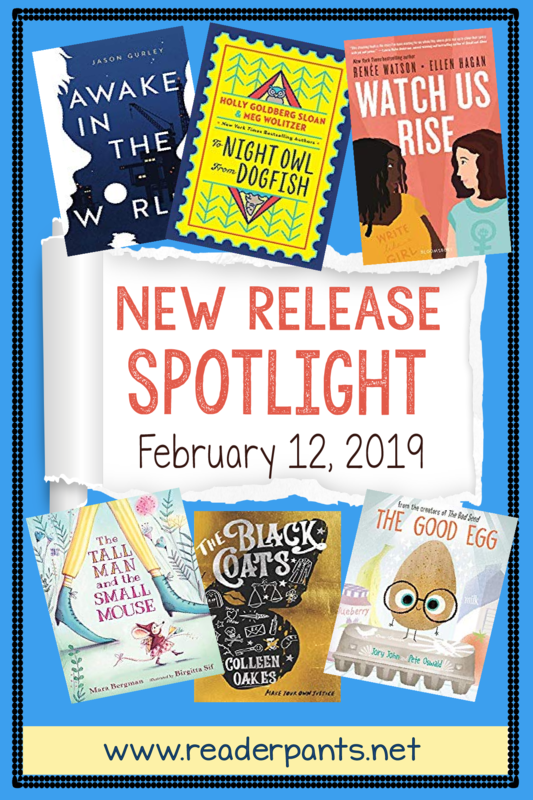 It really is a good thing I'm off this week because the New Release Spotlight is HUGE this week. 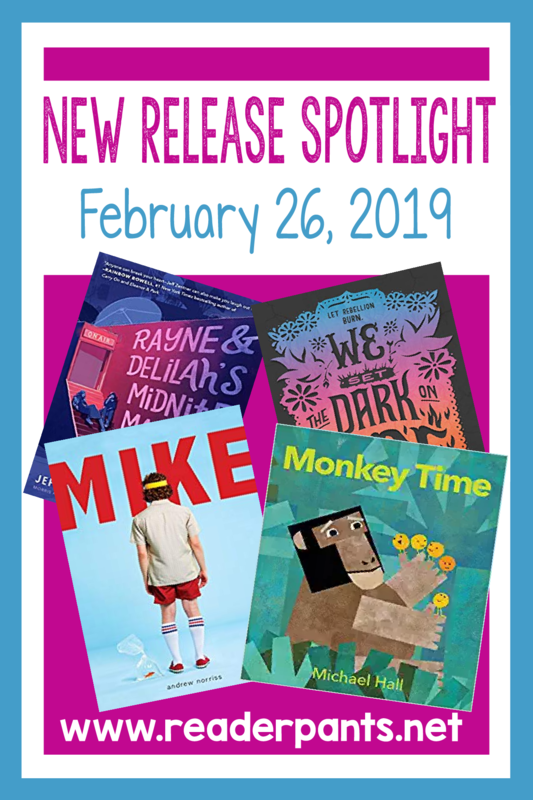 I've spotlighted 24 titles, but that is not nearly all of this week's new releases. Most of the titles on this list received at least one starred review, and many received multiple stars. 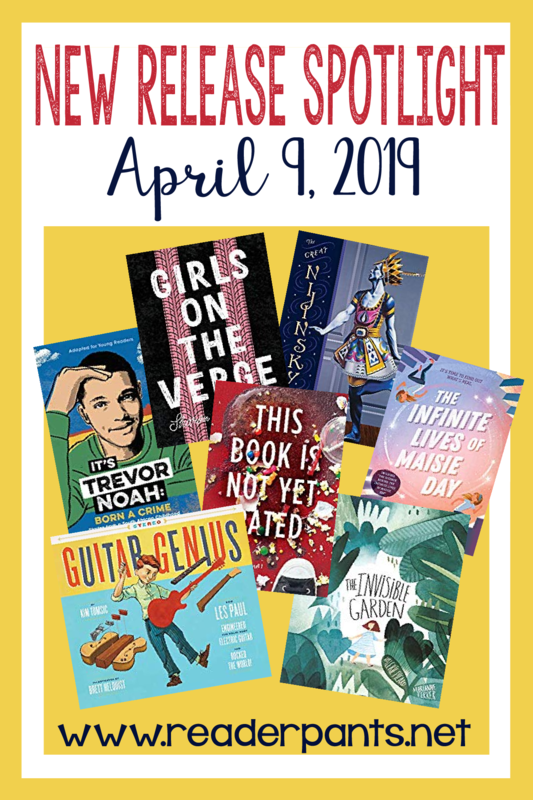 One middle grade title this week has six starred reviews! I haven't posted any new release lists since April 11. I've just needed a long-overdue break from blogging! I have been doing some new release posts and commentary each week on my FaceBook page if you want to follow there. I do not know when or if I will pick the New Release lists up again. It may be something where I can just spotlight my top 5 or 10 titles each week. Hope that helps! Thanks for letting me know. Of course, I understand, but I really find them so helpful. I will check your facebook page. Is it under Mrs. ReaderPants too? We (hubs is also a teacher) were interested in international teaching and used a headhunter company called Search Associates. We were open-minded about which country we went to; it literally could have been anywhere. If you are thinking about taking the plunge, I'd start with Search Associates and also TIE online. TIE is much cheaper (something like $40/year). Search is $225 for 3 years or until you accept a position. It went very quickly for us--we applied in mid-October and accepted a position just before Thanksgiving. Best decision we ever made!